Are you suffering with abnormal or high blood sugars? Do you understand why you may be having blood sugar imbalances? Have you been diagnosed with diabetes or pre-diabetes? Did you know that diabetes is the seventh leading cause of death in America? In the U.S. alone, diabetes is at an all time record high. According to the National Institute of Diabetes and Digestive and Kidney Disease, diabetes is affecting 25.8 million people of all ages (8.3% of the U.S. population). Currently, there are 18.8 million people who are diagnosed and 7 million who are undiagnosed. Has your doctor educated you on the importance of a diabetes diet, exercise, and lifestyle changes to combat your disease state? If you have been recently diagnosed with high blood glucose (sugar) levels, are you aware that you are having a hard time converting fuel into energy? Diabetes is a chronic disease that affects protein, carbohydrate, and fat metabolism. The pancreas does not release enough insulin or the cells become insulin resistant. Typically, an individual eats a meal and the food is broken down into glucose. The blood carries the glucose to the cells for energy. A hormone called insulin is used inside each cell to convert glucose into energy. The pancreas in diabetic patients is unable to produce enough insulin. Consequently, glucose in the blood increases, causing the cells to starve for energy. The other scenario is that the cells in the liver, muscle, and fat may not be utilizing insulin appropriately in the body. When blood glucose levels remain high in the body, eventually over time complications can occur: kidney disease, stroke, high blood pressure, blindness, neuropathies, and even amputations. Diagnosis falls into one of three major types of diabetes mellitus: type 1 diabetes, type 2 diabetes, and gestational diabetes. A fourth type of diabetes, type 3 diabetes, has now been discovered. First, what is pre-diabetes? Pre-diabetes is known as impaired glucose uptake. The patient has been suffering with a condition identified as insulin resistance, where the cell is struggling to convert glucose into energy. Patients have high blood glucose levels, but not in the range indicated for a diagnosis of diabetes. Type 1 diabetes is often diagnosed in children, or those under the age of thirty, and occurs when the beta cells in the pancreas are not able to release a proper amount of insulin to bring down the blood sugar in the body. Because the pancreas cannot release adequate amounts of insulin, the patient will require insulin injections and testing of blood sugar levels throughout the day. Type 2 diabetes is often called "adult late onset diabetes." Generally, this diagnosis occurs in those over thirty years of age. However, there are children as young as two- years-old being diagnosed with type 2 diabetes. Diagnosis includes high blood glucose levels greater than 126 mg/dl hyperglycemia. Gestational diabetes occurs during pregnancy and specifically around twenty-eight weeks gestation or later. The diagnosis does not mean the mother had diabetes before conception or will have diabetes after the birth of the baby, but it will be important to watch blood sugar (blood glucose) levels throughout the pregnancy. Researchers have now encountered type 3 diabetes. In this case, the brain has revealed a decrease of insulin receptors. The research now shows that insulin is not only made in the pancreas but also in the brain. Insulin resistance is connected to a degeneration of brain cells. If insulin production in the brain declines, this condition contributes to degenerationof the brain cells and provides an early sign of Alzheimer's disease. Fasting plasma glucose: reading between 100 mg/dl and 125 mg/dl. Impaired glucose tolerance test: 2-hour glucose challenge is greater than 140 mg/dl but less than 199 mg/dl. Fasting plasma glucose: 126 mg/dl or greater on two separate blood tests. Glucose tolerance test: 2-hour glucose challenge is equal to or greater than 200 mg/dl; this must be confirmed with a second test. Hemoglobin A1c: 6.5% or greater; diagnosis must be confirmed with a second test. When diabetes has been diagnosed, this test is repeated every three to six months to ensure good diabetes management. Type 1 diabetics must check their blood glucose levels throughout the day and inject insulin several times a day to control the levels of blood glucose. research is ongoing to develop both preventative and therapeutic strategies for patients. Patients should be checked on a regular basis for any complications due to diabetes. These include but are not limited to: screening for diabetic neuropathy; urinalysis for protein albumin levels to watch for kidney damages such as diabetic nephropathy; high blood pressure; high cholesterol; examination of nerve sensations in the legs and feet to watch for diabetic neuropathy; regular examination of the feet and lower legs for cuts, scrapes, lesions, or bruises that are not healing properly and may become infected. What are some of the diabetes symptoms to watch out for? How can naturopathic medicine support the body with diabetes? Naturopathic medicine works to heal the whole body. The doctor works to create a homeostasis in the body including blood sugar and hormonal imbalances. Effective treatment includes an integration of natural therapies. It is imperative for the doctor to carefully monitor blood glucose levels with the glucometer (home glucose monitoring), blood tests and other medical necessary tests as discussed above. The patient's pharmaceutical drugs may need alterations as natural therapies are implemented. The patient must be willing to alter diet and lifestyle changes. If patients can lose 5-7% of their body fat than they decrease their risk for diabetes and alter their insulin resistance. 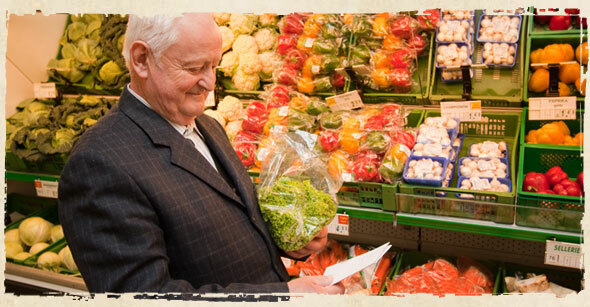 We work with you to tailor a personalized pre diabetes diet. This fat loss is tracked via a body impedance analysis machine. The other natural therapies that may be indicated for a diabetic's treatment plan may include: nutritional supplements, botanical medicine, homeopathy, intravenous therapy, vitamin and mineral injections, ultrasound, colon hydrotherapy, infrared sauna, foot bath therapy, massage therapy and cranial sacral therapy. The treatments indicated will depend on the physical and clinical evaluation. Would you like to prevent diabetes or learn diabetes management? Call Cura' Naturale today so we can help with the prevention of diabetes. 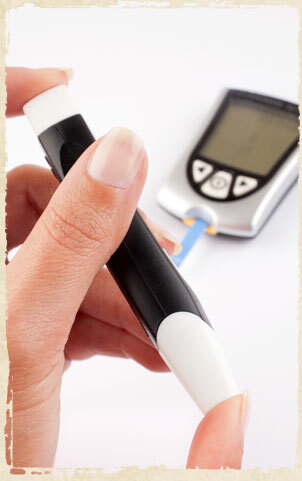 We will assist you in diagnosing any signs and symptoms associated with diabetes. Diabetes treatment will begin if indicated. We will provide diabetes management and education so you understand both your diabetes treatment plan and your goals for blood sugar regulation. It is important to get you started on a path to wellness with a diabetic diet, exercise, and lifestyle changes so you are not the next patient to experience diabetic complications. We want to help you heal yourself! To begin your journey of health and healing, call 603-742-4114 or e-mail us through our Contact Us page.